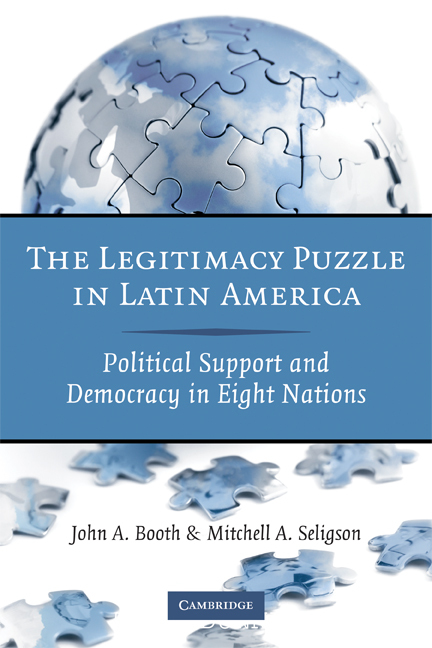 Mitchell Seligson is co-author of The Legitimacy Puzzle in Latin America (2009). Seligson is the Centennial Professor of Political Science at Vanderbilt University and a Fellow of the Center for the Americas and of the Vanderbilt Center for Nashville Studies. He founded and directs the Latin American Public Opinion Project (LAPOP), which conducts the Americas Barometer surveys that currently cover twenty-two countries in the Americas. He has been a Fulbright Fellow and been awarded grants from the Ford Foundation, the Rockefeller Foundation, and others and has published more than 140 articles, fourteen books, and dozens of monographs.